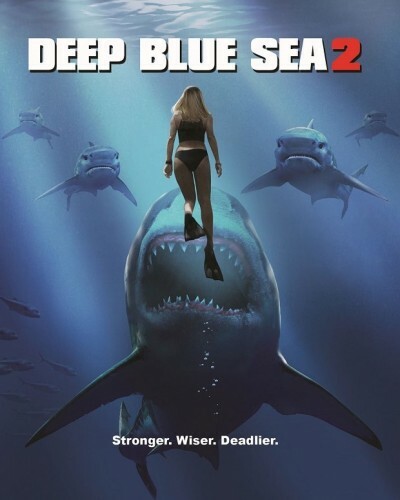 Warner Bros. Home Entertainment has set an April 17 release date for the home editions of Deep Blue Sea 2, the unexpected sequel to Renny Harlin’s 1999 sleeper hit about genetically engineered sharks. Danielle Savre, best known for her work on NBC’s “Heroes” and 2007’s Boogeyman 2, toplines the shark thriller. Savre plays Dr. Misty Calhoun, a consulting shark expert on a top secret project funded by a pharmaceutical billionaire and utilizing bull sharks as its test subjects – the latter of which soon leads to horrific consequences.